Prominent & Leading Manufacturer from Ahmedabad, we offer cordit capsule, arsaquit ayurvedic capsule, herbolean herbal ayurvedic medicines, acineutra capsule, bloom-up capsule and normapeace capsule. Reduces cardiac load, improves cardiac efficiency & prevents blood clotting in MI. 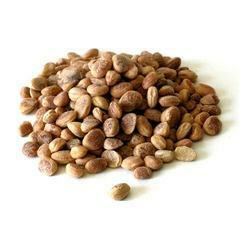 It tones up cardiac muscles, improves coronary circulation and keeps heart healthy. 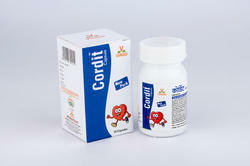 Effectively corrects lipid profile & reduces risk of coronary heart diseases. Checks all types of cardiac symptoms effectively. Improves blood circulation, reduces hemorrhoidal congestion & shrinks pils mass. Relieves cosntipation, reduces pain & burning sensation & effectively checks bleeding. Cures all the symptoms as well as prevents compictions of piles. Heals the fissure & relieves anto rectal symptoms. Effective in bleeding and non - bleeding piles. 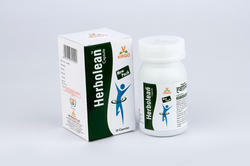 Herbolean Herbal Ayurvedic Medicines is for obesity. It is very effective in obesity and dyslipidemia. 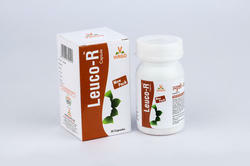 It corrects the lipid profile and reduces risk of diabetes and herat diseases. Improves metabolic rate to burn excessive fat from the body. Keeps you slim and slender. 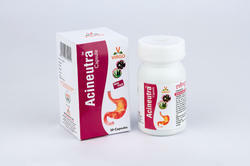 Acineutra Capsule is a natural excess acid normaliser. It neutralizes excess acid in the stomach. 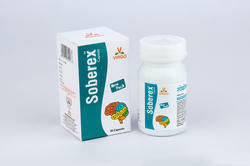 Controls the acid secretion and strengthen gastric mucosa. Relieves burning sensation, acid - reflux and nausea. Reduces abdominal discomfort and helps digestion. Helps heal gastric and duodenal ulcers. 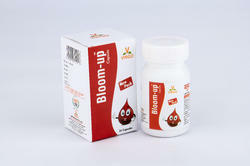 Bloom-Up Capsule is a natural iron supplement. induces RBC formation and improves quality of blood. Improves strength in weakness with Ashwagandha. 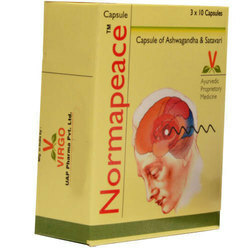 Normapeace Capsule is for stress & stability. It effective in stress, anxiety and depression. Prevents stress induced somatic changes. Maintains mental and physical fitness. 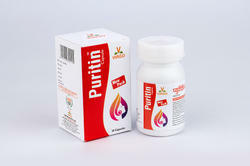 Puritin Herbal Capsules is very effective in blood purifier. It protects bacterial, fungal and allergic infections. It restores normalcy of skin. Acute, Chronic & allergic skin diseases. 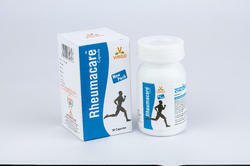 Rheumacure Capsule is for all types of Joint Pain, swelling and stiffness. It provides potent analgesic and anti - imflammatory actions. Improves joint movement, stability and prevents bone deformities. Normalises the physiological parameters and functional movement. 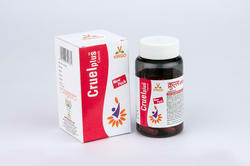 Cruel Plus Capsule need a caring approach but cancer cells need a cruel approach. It checks the degenration, promotes regenration & makes normal cells healthier. Reduces the abnormal tissue growth and checks cancer cells. Checks the progree of the diseases in malignant conditions. Promotes immunity and restores positive energy in the body. Rajocaps Capusle is solution for female infertility. It regulates ovarian as well as uterine cycle. 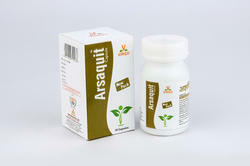 Improves chances of conception in infertility. We offer Herbal Piles Medicine to our client. Looking for Ayurvedic Capsule ?